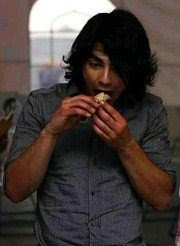 DALLAS, Feb. 16 /PRNewswire/ -- Who needs hot sauce when you have The Jonas Brothers with your crispy taco? Arguably the hottest teen sensation at the moment is teaming up with Mexican quick-service restaurant, Taco Bueno, for a concert promotion. One lucky Taco Bueno customer can register to win an all-expenses-paid trip for four to attend the brothers' concert in Houston on March 9th and meet the boys in person. On the heels of an appearance on the Grammy Awards with music legend Stevie Wonder , an exclusive visit to the White House to entertain its newest little occupants during inauguration week, and the upcoming opening of their much-anticipated 3-D IMAX concert experience release, The Jonas Brothers' concert tour will take a spin through the great state of Texas, and one lucky "Buenohead" (and three people of his/her choice) will be their special guests. The chance to enter the competition is easy, and no purchase is necessary. Customers can obtain entry forms exclusively at Dallas/Fort Worth Taco Bueno restaurants; all they have to do is ask an employee. The entry forms must be mailed in by February 23rd to participate. Taco Bueno employees and their families are not eligible for the contest.